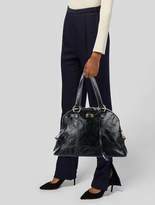 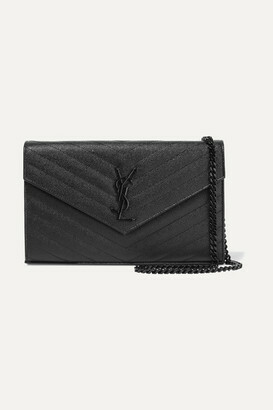 Black patent leather Yves Saint Laurent Mini Muse bag with brass hardware, dual flat top handles, rivet embellishments, Y motif featuring contrast stitching at front and back, padlock at front, O-ring accents at sides, protective feet at base, dark slate woven lining, dual interior pockets; one featuring zip closure and zip closure at top. 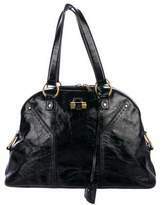 From the Fall 2008 Collection. 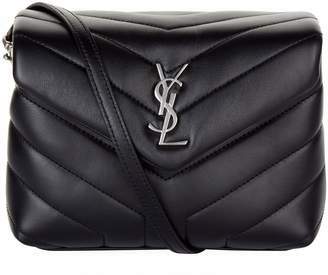 Includes tags, key and logo clochette. 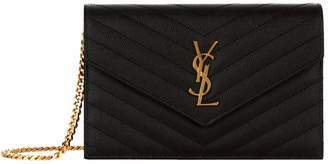 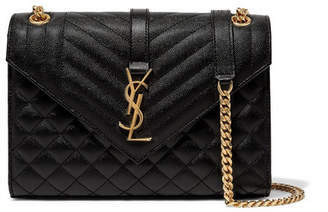 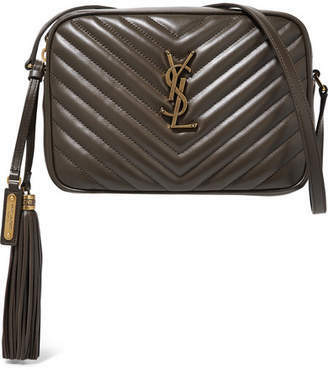 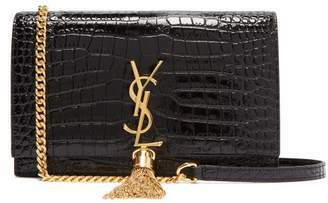 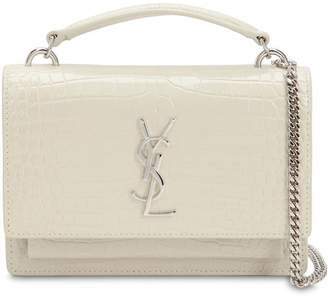 Shop Yves Saint Laurent designer bags online at The RealReal.